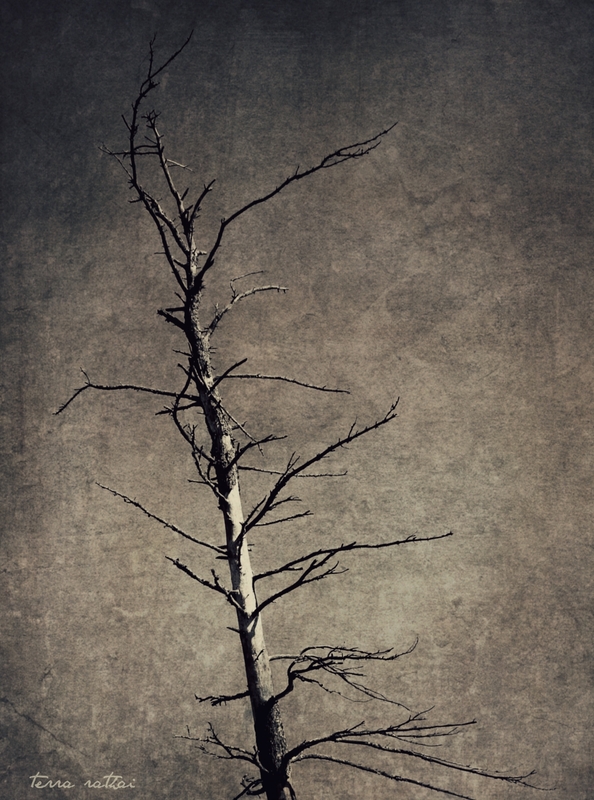 Posted on August 5, 2015 August 5, 2015 by Terra Rathai	This entry was posted in 365 Project - 2015, ART, Flora, PHOTOGRAPHY, sky, trees and tagged ART, black & white, bones, branches, CABIN, dead, effects, forest, Landscape, Photography, skeleton, Sky, trees, woods. Bookmark the permalink. I really need to start taking a camera with me! This is a great shot! I come across so many beautiful trees as a Tree Pruning Service. I definitely love the contrast of your photo! Thanks! Yes, trees are an endless source of inspiration – alive or dead!